Guillaume Tardif and Opera at City Hall! Guillaume Tardif, violin and Roger Admiral, piano help celebrate Opera at City Hall! with opera themed crafts and activities beginning at 11:30AM. Thanks to the Edmonton Community Foundation – Jean McDiarmid Fund, Edmonton City Hall, The Winspear Centre, the Department of Music, University of Alberta, and Edmonton Public Libraries. On Sept. 13th, enjoy Waltzes by Johann Strauss Jr. (arranged by Arnold Schoenberg), as well as the Edmonton Opera Choir, and the Strauss Ball Dancers. This collaboration helps celebrate 50 years of Edmonton Opera, and precedes Edmonton Opera’s February production of Strauss’ Die Fledermaus. The Sept. 15th and 16th performances will again feature Waltzes by Strauss Jr., as well as Brahms’ Quartet No. 1. 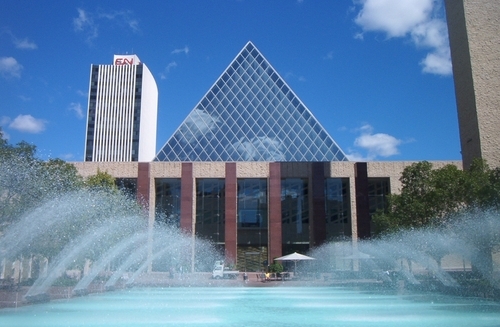 Thanks to the Edmonton Community Foundation – Jean McDiarmid Fund, Edmonton City Hall, Edmonton Opera, the Department of Music, University of Alberta, and Robertson-Wesley United Church.